School of Game Design Is Up For A 98% Discount - From $5,990 To Only $69 - Get It NOW! 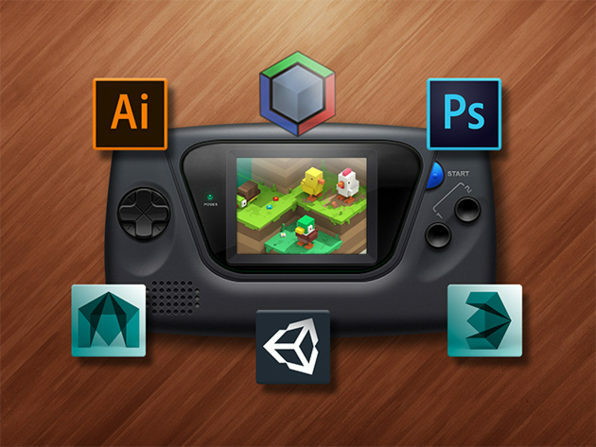 School of Game Design Is Up For A 98% Discount – From $5,990 To Only $69 – Get It NOW! Ever wondered what it would feel like to have a career you loved? Only the lucky ones are able to get into a career they are passionate about. Even if you love gaming, you can make a whole career out of it. The question is how? You can build your own games and with this deal you can do it at a great price. Wccftech is offering lifetime membership to the School of Game Design. The school has developer courses for all skill levels and these courses have been designed by experts and professionals. This deal will give you access to an enormous library of step-by-step training videos. These videos will include everything, from the very basic to the very advanced techniques. This deal will also ensure that you are always up to date with the newest advancements in the field. When you have a discount of 98%, only an idiot won’t take advantage from it. With the School of Game Design, you will get lifetime access to the content. You will be able to access the content via web or mobile streaming. After purchase you have to redeem the code within 30 days. The best thing is that it comes with updates as well. You can have zero experience in game design and you will still be able to take advantage from the course content. It is compatible with 4GB RAM, Mac OS X 10.9 or later and Windows 10 or 8.1.